Hilltrek’s range of tried and tested outdoor clothing is well suited to all types of walking – providing complete protection from the elements. Comfortable to wear yet hard-wearing and abrasion resistant, garments can also be customised for the perfect fit and your choice of features. A durable and quiet double-layered Ventile® jacket for all year wear, ideal for walking, nature watching and photography. Weatherproof ankle gaiters to keep dust and stones out of boots. Fully featured for extreme conditions. A reinforced, fully waterproof Cotton Analogy® jacket with multiple pockets, ideal for cold weather intense activity. Fully waterproof. Robust & breathable. Ideal for field sports, nature watching and photography, a Cotton Analogy® jacket with multiple pockets and roomy sleeves. Extra lightweight. Wind & showerproof. 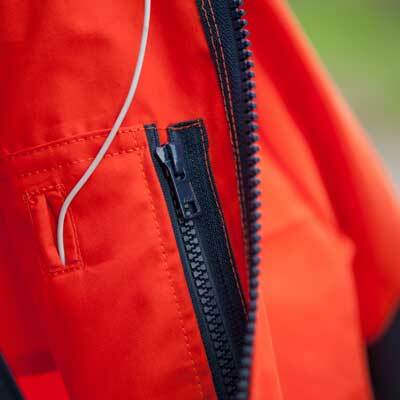 An extra lightwieght version of our single-layer Ventile® smock designed for summer use. Wind & abrasion resistant. Versatile layer. Quick drying Karisma technical fleece trousers with good water repellency, ideal for a wide range of activities. Fully waterproof. Lower rise fit. Warm trousers with front zipped pockets, in double-layer Ventile® with reinforced ankle, seat and articulated knee. Limited Edition lighter weight version of the Braemar double-layered Ventile® smock with side zips and multiple pockets. Warm and fully waterproof double-layer Ventile® trousers with front hand-warmer pockets and reinforced knee and seat. Wind & showerproof. Reinforced seat & knee. Classicly styled below knee length single-layer Ventile® breeches with multiple pockets.